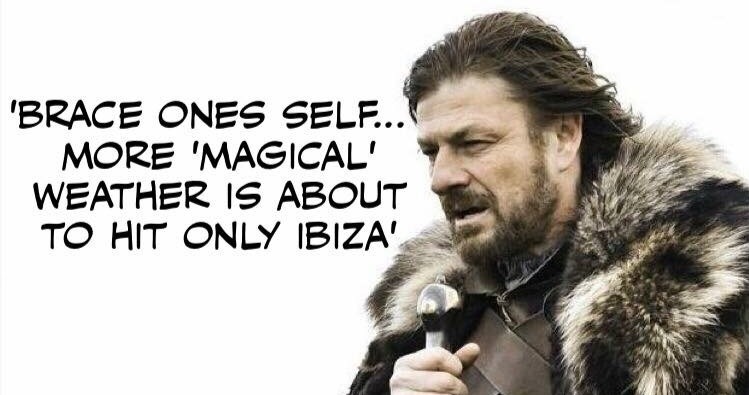 We all love to talk about the weather so expect an Ibiza timeline inundation this weekend as the island’s inclement weather looks set to continue with snow forecast for Saturday, Sunday and Monday. It doesn’t happen very often but Saturday and Sunday should see a light smattering on high ground with a real chance of snowball fights on Monday when snow could fall to 100 metres and temperatures could get as low as -2C. The last time snow fell was a light covering in February 2015 with temperatures falling to -3C, the lowest recorded since 1965. 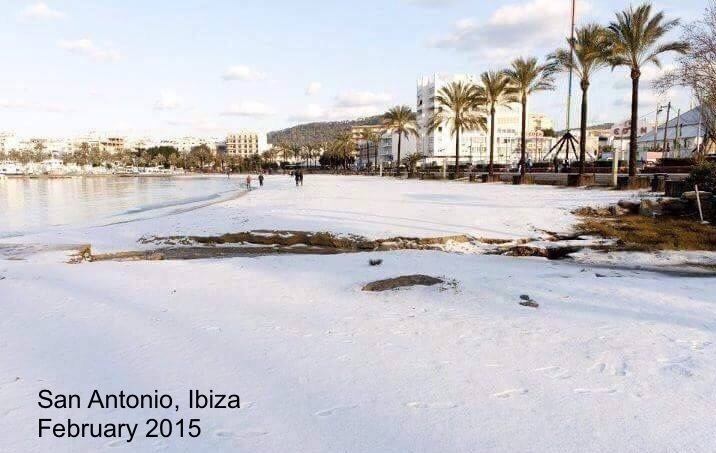 February 2012 also saw a thin blanket of snow covering many parts of the island which caused a lot of attention on social media so expect your timelines to be full of the white stuff this coming weekend.